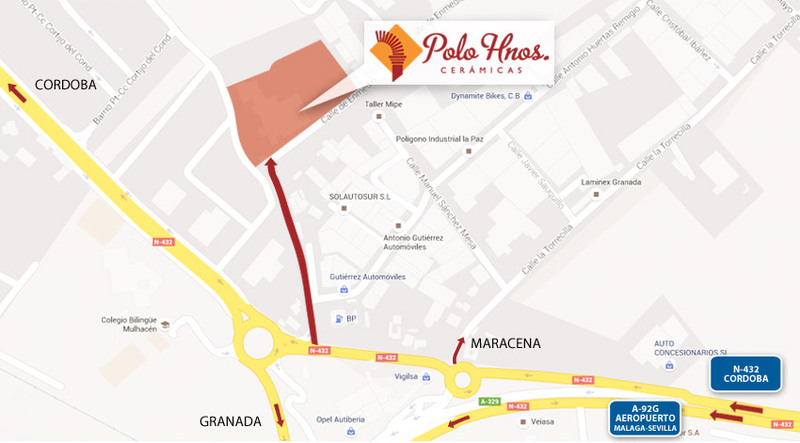 Pursuant to Organic Law 15/1999, of 13 December, on Personal Data Protection, POLO HERMANOS, S.L., with Tax Identification Code B-18018374, and headquarters in Camino de Enmedio (no number), 18200 Maracena - GRANADA, hereinafter THE BUSINESS, hereby informs Users of the existence of a personal data file called WEB USERS and CLIENTS, registered with the General Data Protection Register, created for the purpose of responding to requests for information received via the website, customer service, management and invoicing of the aforementioned customers, products and services quality control, as well as sending advertising and market research for new developments, products and services on offer, and customer retention, and it complies with the security measures established in Royal Decree 1720/2007, from the 21st of December. From 08:00 to 14:00 and from 15:00 to 18:00. The company will be closed of August and from the 26th of December 2016 until the 3th of January 2017.